This is not going to be one of those fights where one easily triumphs over the other. This is one of those fights where one guy dies after hours of fighting and the other one is maimed for life. Neither of these guys are chumps. 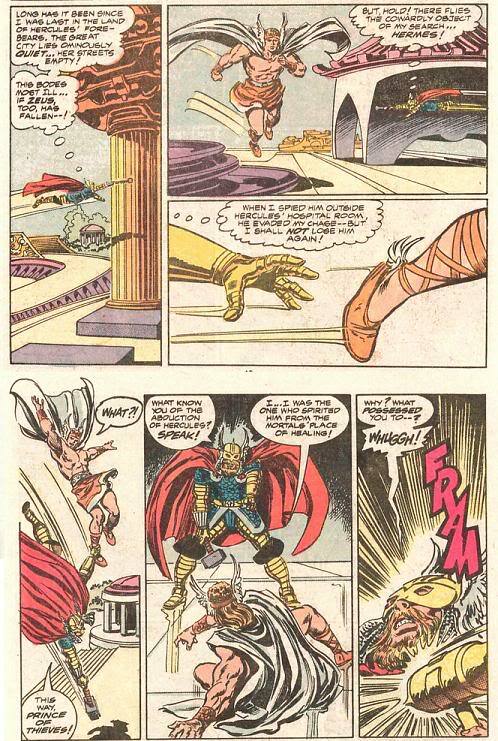 All depends on just how much damage to BA the Hammer can do for Thor, for if it is a lot, he could still edge out, but if same as shown vrs Superman, same result, Goldilocks takes a nap! 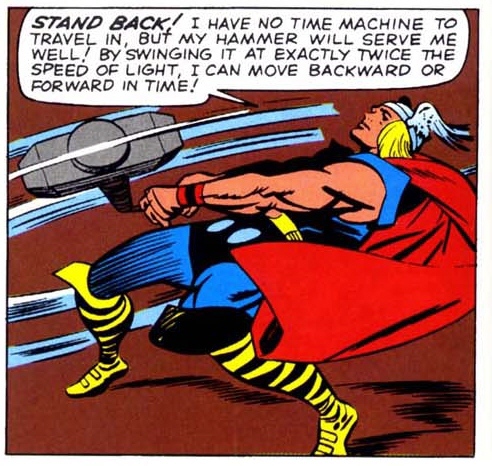 Black Adam has no more speed feats than Thor. Adam has fought Jay Garrick at Superspeed and has kept pace with him at near lightspeed on foot. One or two combat speed feats out of almost 550 appearances are most definitely outliers. Thor doesn't has those in 5000 appearances. None of your showings have Thor fighting a speedster like Flash at full on Superspeed. 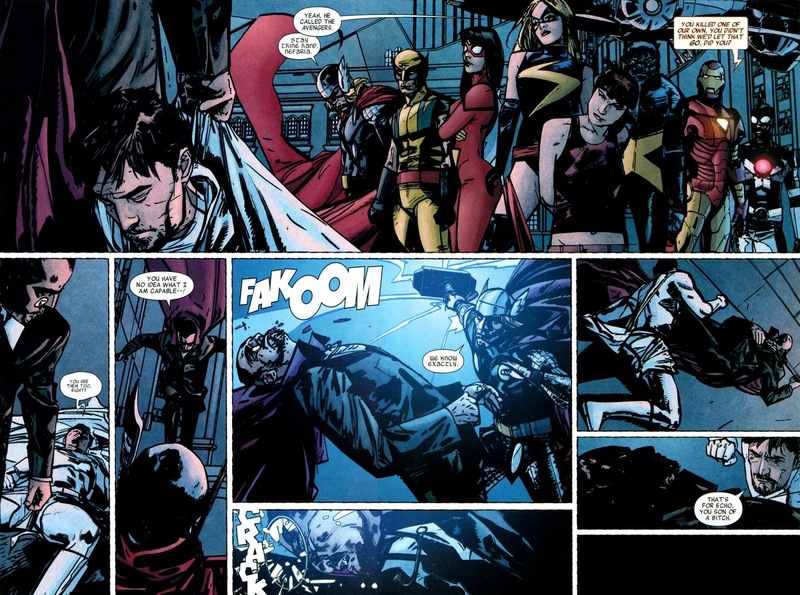 Quicksilver has casually left entire Avengers team along with Thor like statue. As had Monica Ramebeu. More like 2500 appearances. 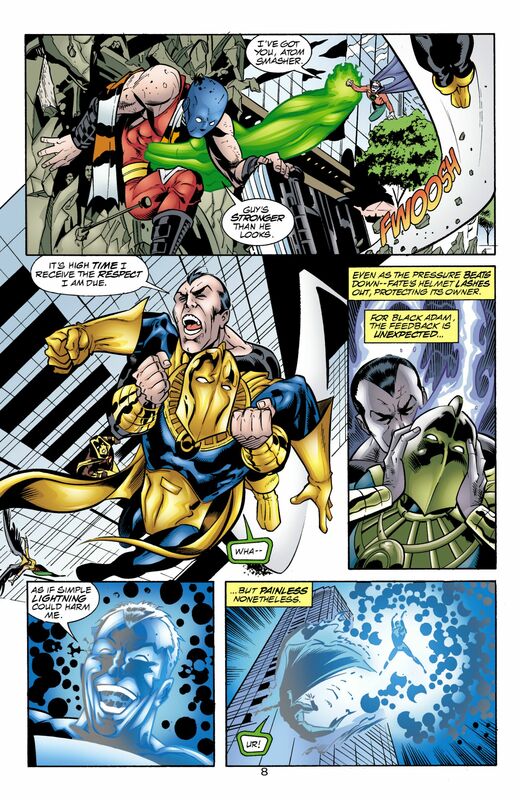 And they show him fighting Black Adam level speed. That's a team. He catches Hermes who shows equal to Makkari. I doubt that Thor has appeared in an average of 10 comics every month since his creation. They are including animations, Ultimate Thor, etc. 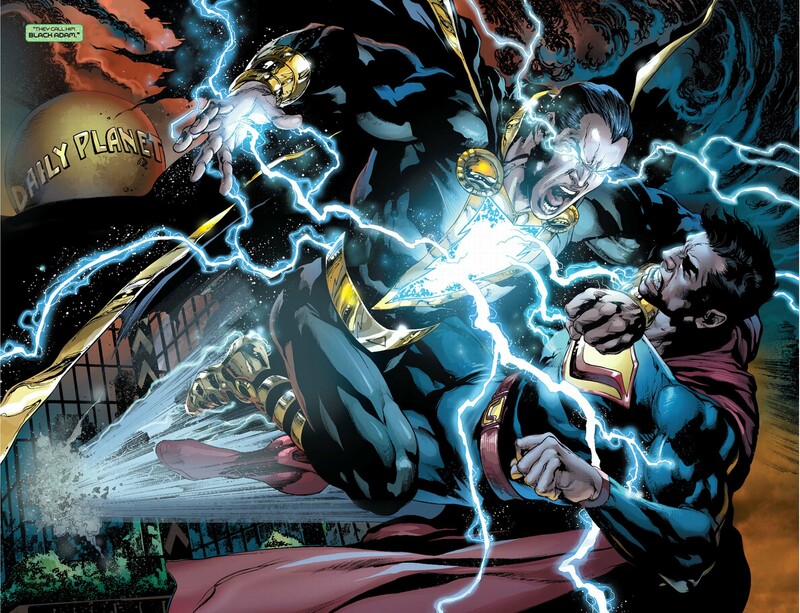 I would thus be equally wrong on Black Adam so lets say he has been in around 1200. The hammer is an established standard part of Thor's power-set. It's an intriguing match-up, what Thor being the god of thunder, and Adam getting his power from lightning. I'm not sure Thor's lightning would have any special effect on Adam though, beyond what it can do by virtue of it's sheer power. As far as I know, Adam's powers are only activated/deactivated by Shazam bolts, not lightning from other sources. In DC VS. MARVEL, we saw that Thor could use Mjolnir to intercept a Shazam bolt, but I don't see him getting that opportunity against Adam, since Adam isn't in the habit of reverting to human form midfight (Billy only did so due to the rules stipulated by The Brothers). So more likely than not, this'd be straight contest of power vs. power. And Thor could still win on those terms, but it'd be near 50/50 fight IMO. On the off-chance that Thor did manage to manipulate Adam's powers in some way though, that'd obviously tip the scales decidedly in his favour. Focusing on physical/muscular speed only (as opposed to flightspeed), Black Adam has been clocked at much higher speeds than Thor (at least Mach 500). There really shouldn't be any dispute about that. However, I don't see him owning Thor on that basis. Superman is likely even faster than Adam, and has way more super-speed showings, yet his speed wasn't a game-changer against Thor in JLA/Avengers. I don't think that was because Thor has comparable speed, I think it was because Superman doesn't tend to use super-speed much during fights, and when he does, it's usually only in short bursts. If guys like Superman and Black Adam fought at super-speed all the time, they'd wreck Thor, but in practice, it's written as a occasional-use power that wouldn't be a deciding factor in most fights. I asked the same thing myself - why does Adam get so much more respect? Adam DOES have better feats however, he's taken on multiple heroes, all down to his warrior training and ferocity. If you have any scans of clean wins from Billy, I would like to see them. I've read a fair bit of Captain Marvel's series and JSA, and I don't recall Billy straight up punching Adam out ever. Either their fights end inconclusively, or there's some kind of extenuating circumstance involved, like Billy managing to depower Adam by removing his Scarab necklace the first time they fought. That and there is another time when BA threatens a passenger jet in order to force Billy to stop fighting and leave. Up until then, it was a back and forth. So it seems that BA's aggressiveness has not given him any noticeable advantage over Billy in a clean fight. 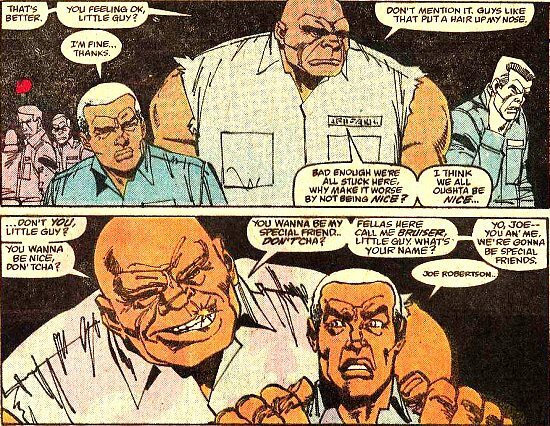 Billy may have beaten him cleanly pre-crisis.